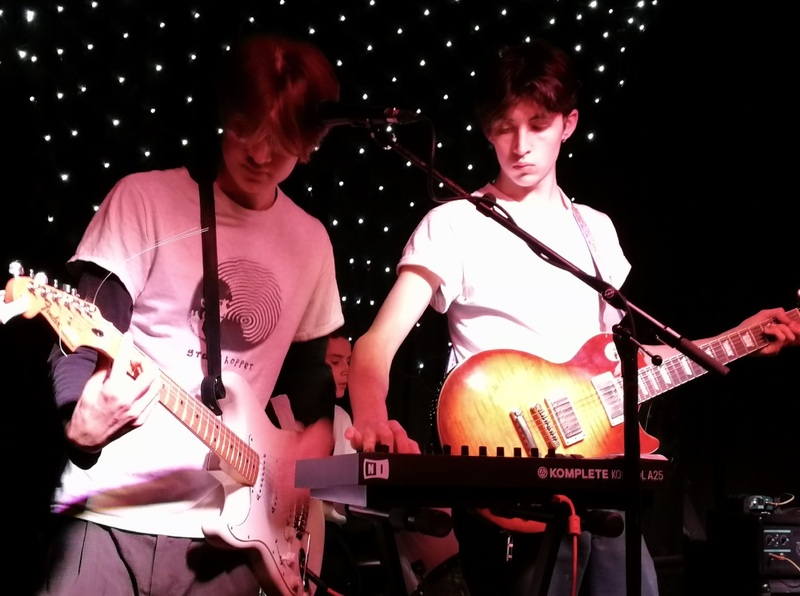 We kicked off our 2019 gigs, with a visit to the Prince Albert in Brighton as there was a rather special event going on. It was all for charity and so we wanted to give them our backing. So what was going down? Three locally based bands, grasshopper (with a small ‘G’), GLOVE (all spelt in caps) and Building Operators had agreed that all proceeds from their gig would go directly to the refugee education project charity, The School Bus Project. 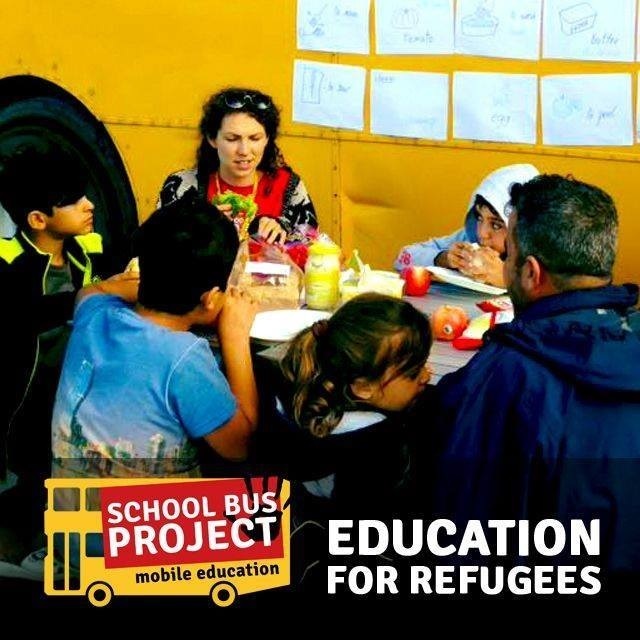 The School Bus Project was set up and is run by educators who believe that learning is a human right for everyone. It is also a basic right set out under Article 26 of the UN Convention on Human Rights. 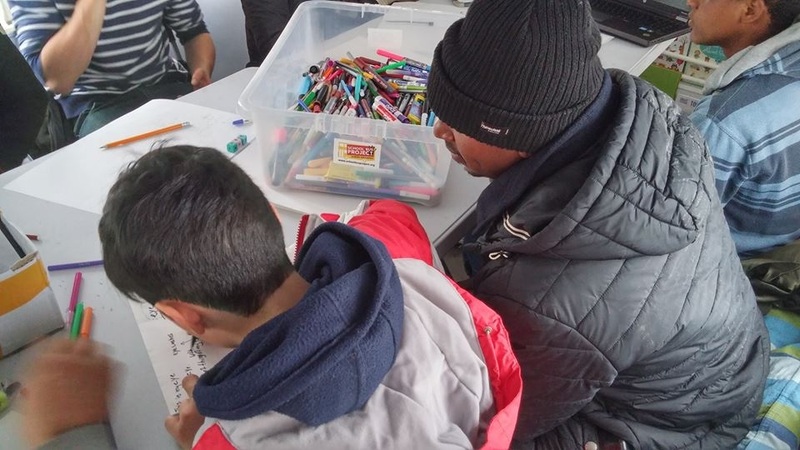 So far the organisation have organised an education bus for young refugees in northern France and they are looking to build on this legacy by adding a second education bus for refugees in the Epirus region of Northern Greece. 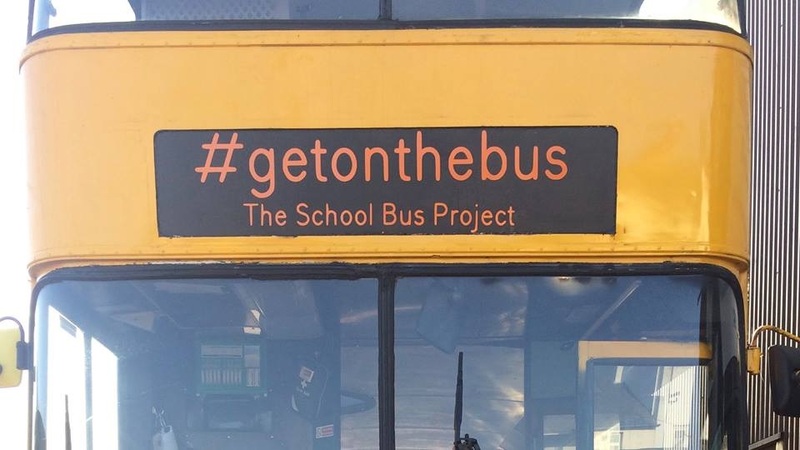 In order to achieve this The School Bus Project will be partnering with a very established organisation over there to achieve this. They have set up and Crowdfunder campaign and at the time of writing they are 35% towards their goal and require just £6,588 in order to hit target prior to the 5th February deadline. You can find all of the information regarding this by clicking HERE. Tonight’s concert was coordinated by Gigs and Generosity and they are really keen to get more gigs lined up this year. Prior to the bands coming on stage this evening, I was discussing with Rowena Gerrett (of Gigs and Generosity) who had organised tonight’s event, what their plan of action was. She told me “If anyone would like to take part or, even better, run an event on our behalf, we would love that! Music and also spoken word, comedy, poetry, anything creative!”. Sounds a fab idea to us! Message Rowena on this Facebook page to discuss your ideas. The first band on stage tonight were Building Operators who were performing only their fourth ever gig. 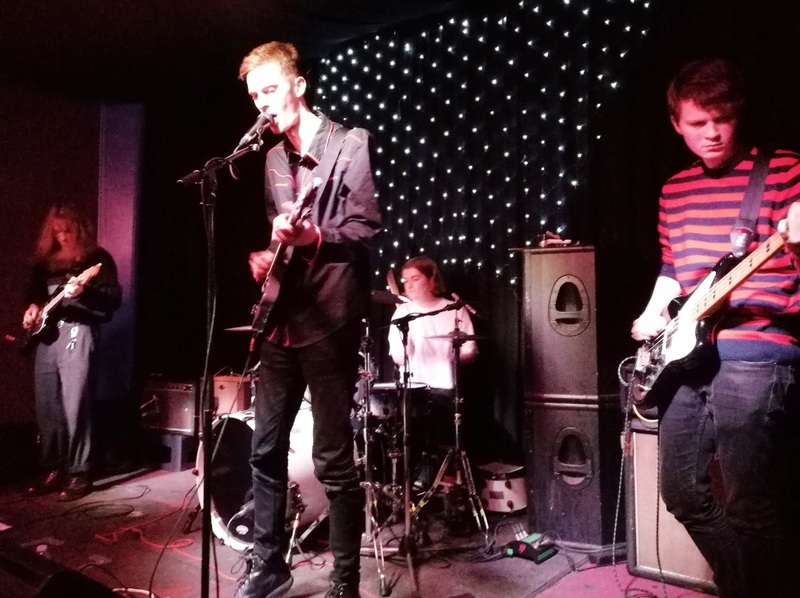 It seems to me that Brighton bands are getting younger and younger and Building Operators are a great example of this with vocalist/guitarist Ethan Garrett being 19, guitarist Myles Blair being 18, and drummer Jonah Phillips being just 16. This evening they were just a trio as bassist Ted Gibbs was otherwise indisposed. For an opening band, they actually played quite a long set, which was 45 minutes although this was only eight songs long. 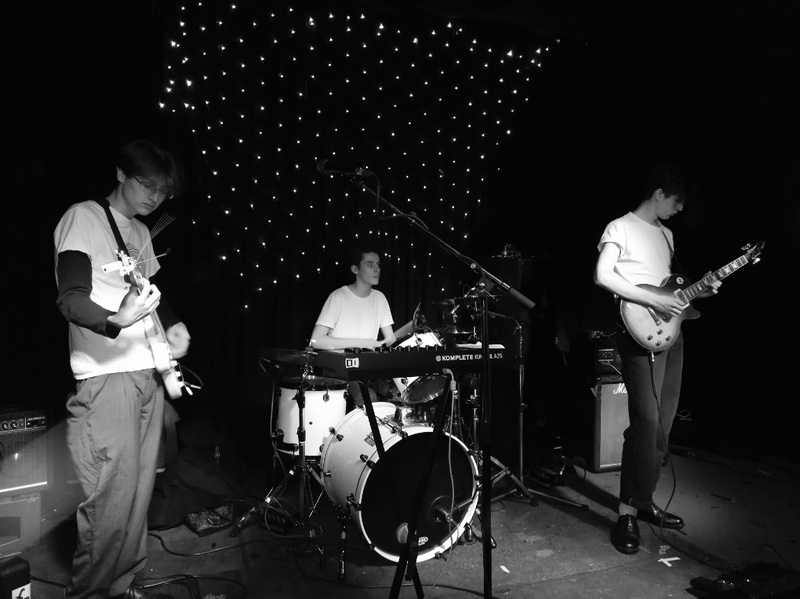 Being new to the scene, they are clearly learning their craft, but sound-wise, they would have fitted in rather nicely with the sadly defunct Edinburgh music label Postcard Records, who were churning out classics from 1979-1982. It seemed that each and everyone got a spin on the John Peel Show. So musically during the Building Operators set, I picked up on Orange Juice and Aztec Camera (both of whom were on Postcard Records) as well as Lloyd Cole & The Commotions and The Wedding Present (especially on their penultimate track ‘Lack Of Fun’, which was my fave). 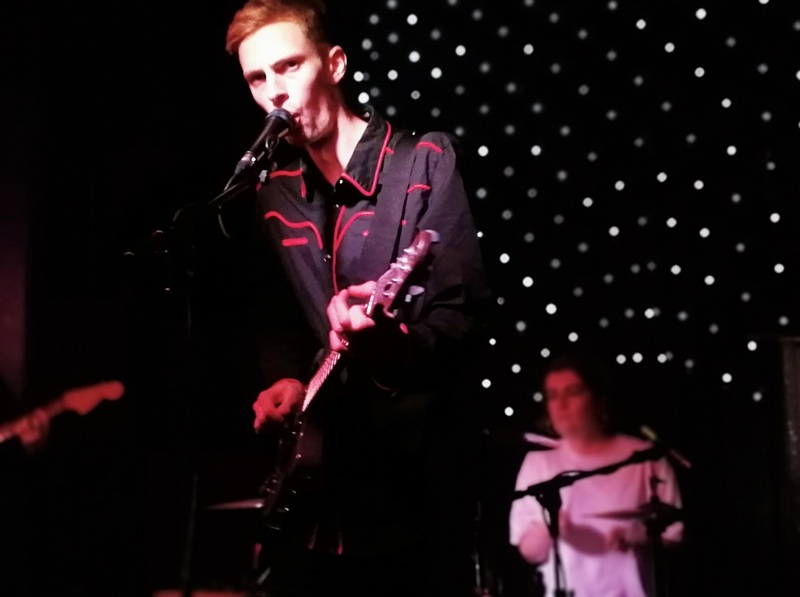 Then blow me down, talking to the lads after their set, one of them informed me that their parents saw the music resemblance to Josef K! And who who were Josef K signed to? Yep you guessed it Postcard Records! Have a listen to what Building Operators sound like HERE. ‘What’s That Sound’, ‘YTL (You’re That Love)’, ‘Malcolm’s Got It’, ‘Message From Above’, ‘The Martian’, ‘Cake He 8’, ‘Lack Of Fun’, ‘All Around’. Next up were a new trio going by the name of GLOVE, who formed midway through 2017 and are Ricky Ashcroft, Tommy Ashcroft and Troy Pitt. The lads are based in Brighton, Worthing and Littlehampton. Tonight, they took the music direction into a far heavier nouveau punk sound, which incorporated a slight metal edge. They jokingly introduced themselves as The Pixies, there lyeth a great indication of what was to follow. Check out GLOVE’s sound from this Third Circle Recordings offering HERE. Talking of which, the band have posted “We are going into the studio early next year to record our first full Album at Third Circle Recordings and we can’t wait! 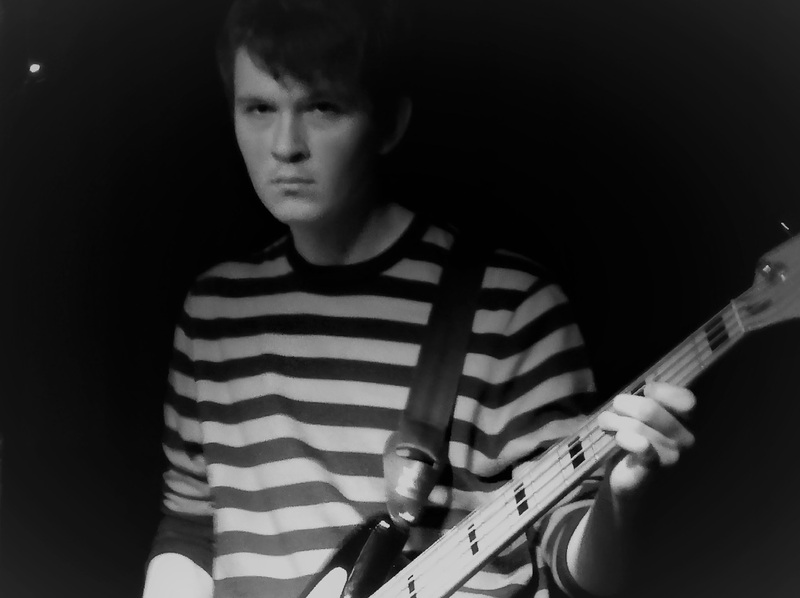 We have been and will be until then concentrating on writing and working on new songs for it. We have some shows booked already but right now we are throwing most of our time and focus on getting the album out and the best it can be. We can tell you that we are really proud of the new songs and we can’t wait for you to hear them”. So no doubt a majority of this evenings nine song setlist will be appearing on their 2019 album. ‘I Have Tourettes’, ‘Conversations’, ‘Computer Song’, ‘Somewhere Pretty’, ‘Insides’, ‘Out Of Time’, ‘Out My Mind’, ‘Not Your God’, ‘I Don’t Like It’. It was now time for Brighton based headliners grasshopper to jump onto the stage! Amazingly it is exactly a year ago to the day that we witnessed grasshopper perform a fab gig at the nearby Green Door Store on 3rd January 2018. You can read the 2018 gig review HERE. I had initially discovered grasshopper way back in November 2017, when I heard their then new ‘Nothing Like Us’/’Scream’ 7” red vinyl platter. It immediately grabbed my attention. It was like… “Whoa what’s this unreleased lost Bauhaus track?” It was amazing to learn that it was nothing to do with Pete Murphy and his Bauhaus buddies. 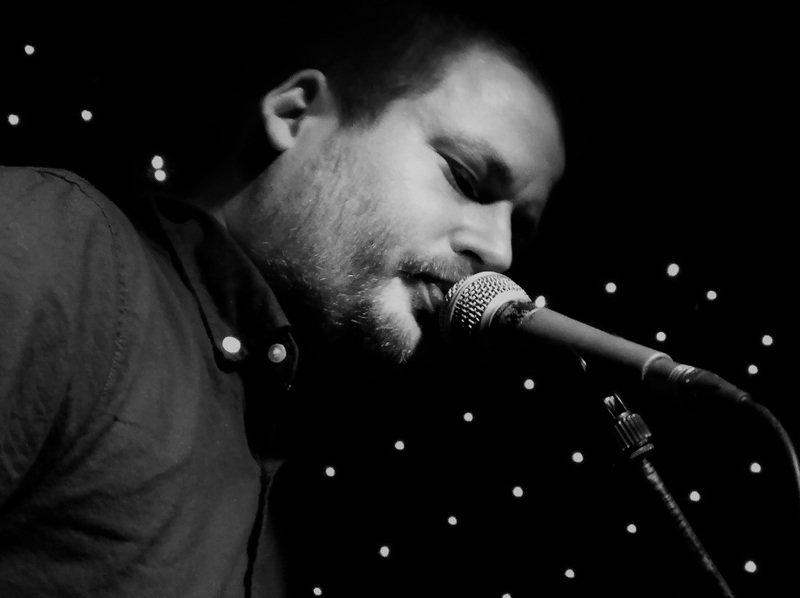 It also seriously reminded me vocals wise of Tom Smith of The Editors when he says “It kicks like a sleep twitch!” on their brilliant ‘Papillon’ hit single, but nope, it was in fact the vocals of the tall slender grasshopper frontman Javi Fedrick. 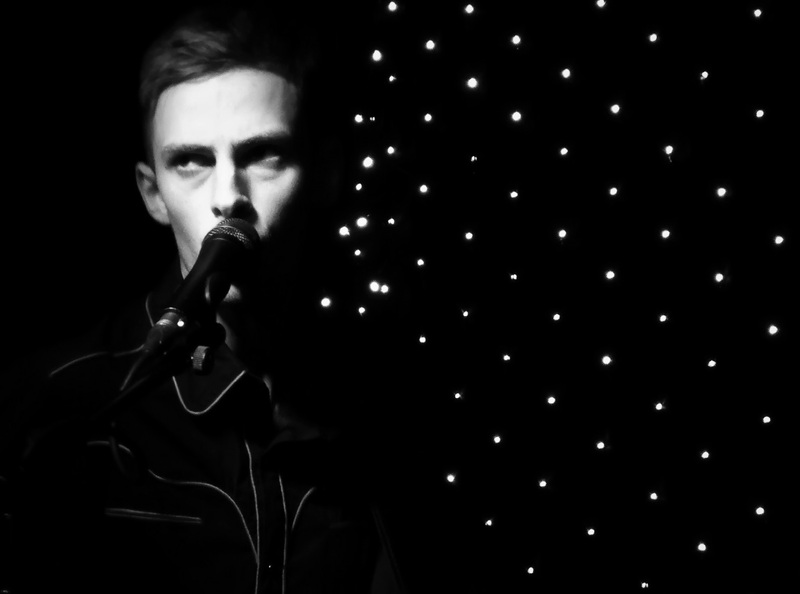 Although if you have a listen to grasshoppers debut EP from 2013 entitled ‘Circle Time’, you won’t actually believe that it is indeed the exact same singer, as back then Javi’s voice hadn’t reached the depths that it has today and was arguably more akin to Molly Nilsson. On stage Javi certainly has that stage presence that draws your eyes to him like magnets. 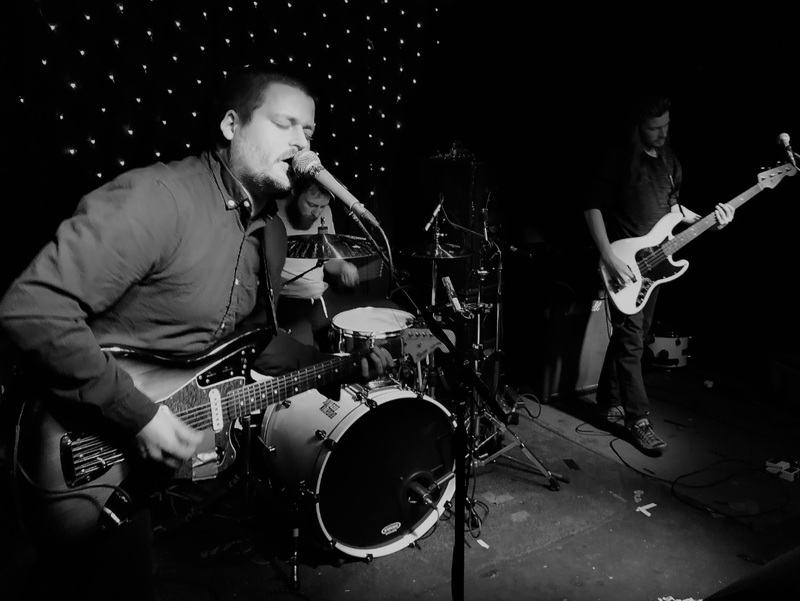 Having said that grasshopper are actually a quartet, with the remaining trio being Morgan Jones on guitar, Luis Fedrick on bass and Rachel Garrett on drums. They describe themselves as pounding post-punk and ethereal goth-wave and who am I to argue with that, as that sounds absolutely spot on to me. 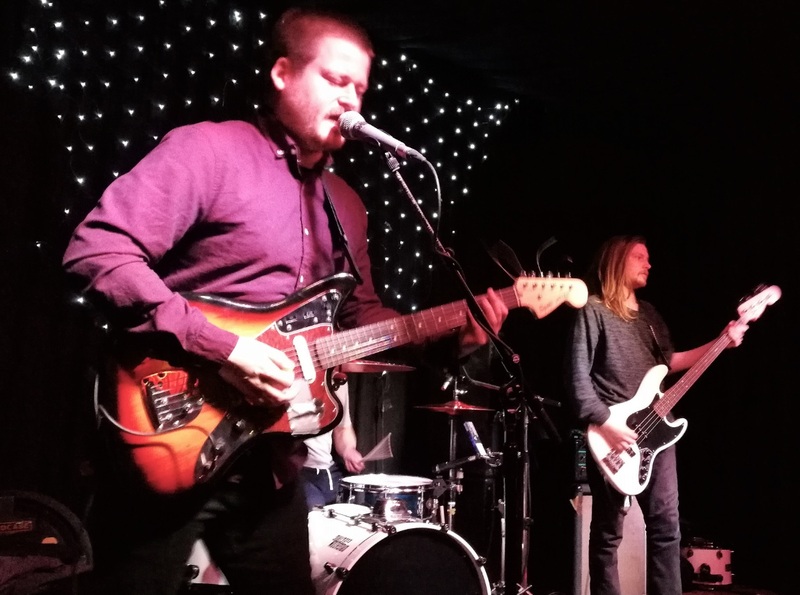 The band recently released their ‘Stricken’ EP on 30th November, and tonight they performed all three songs from the EP, those being ‘GRIN’, ‘The Hand On The Knife’, and ‘I Think It’s Time To Wake Up Now’ as well as five other numbers. Have a listen to grasshopper on Bandcamp HERE. 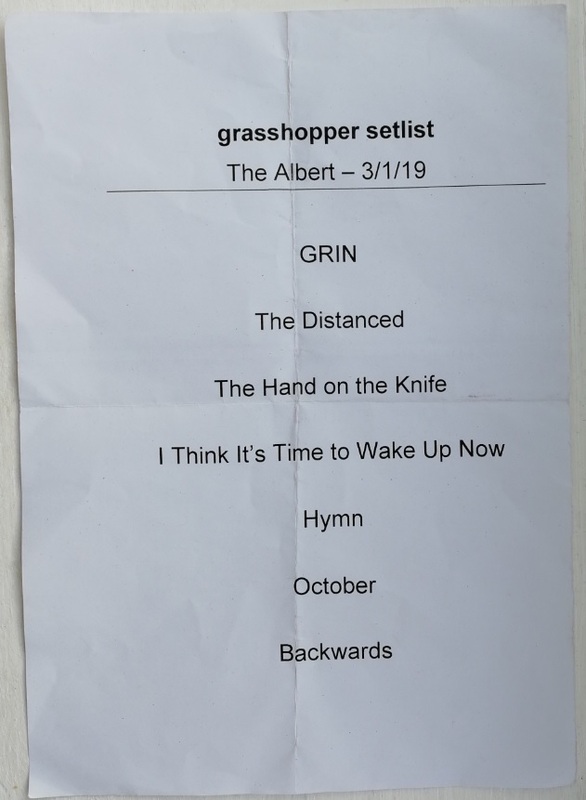 ‘GRIN’, ‘The Distanced’, ‘The Hand On The Knife’, ‘I Think It’s Time To Wake Up Now’, ‘Hymn’, ‘October’, ‘Backwards’, (encore) ‘Obsession Repetition’. 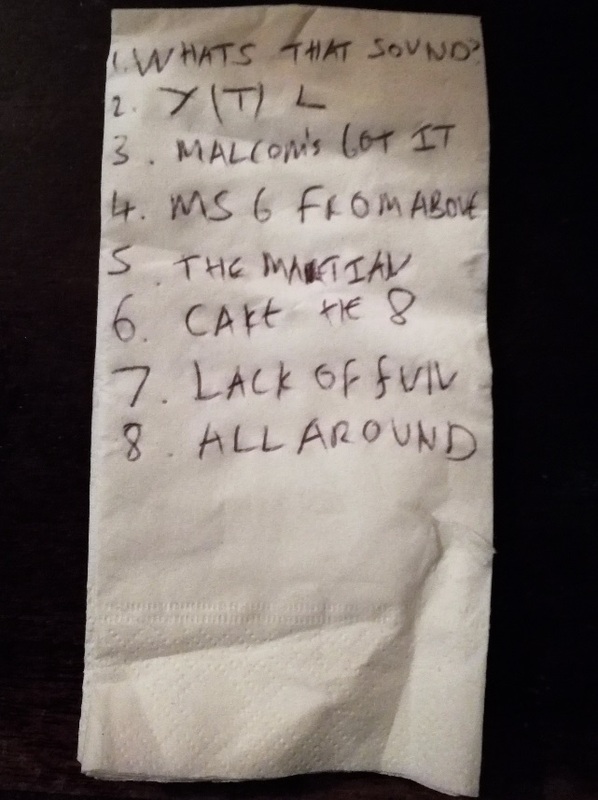 Building Operators setlist – some of the best lyrics are written on napkins you know!